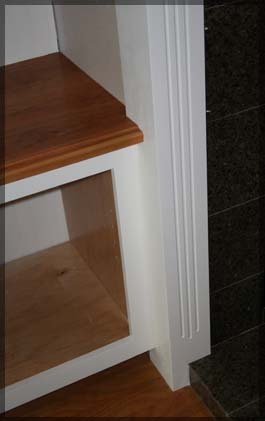 In this day and age we run into a very common request from multiple persons who have newly built homes: "What do we do with the little alcoves which are built for Televisions?" More often than not they are irregular sizes and you cannot simply go out and purchase pieces of furniture which fit into the existing spaces. This project is a perfect example of how these spaces can be dealt with. Originally there were two alcoves (one on either side of a fireplace). They were not the same size and one was being utilized for display space whilet he other as an entertainment center. We were given the challenge of making the entire space look like it was designed to go together. In this picture you can view the fireplace after installation of the new tile surround but prior to installation of the custome woodwork. 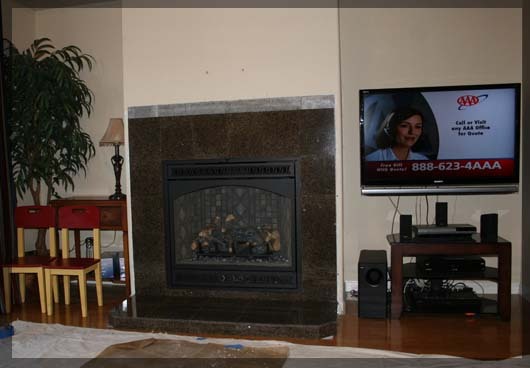 Originally the fireplace had a concrete stamped design hearth and surround. 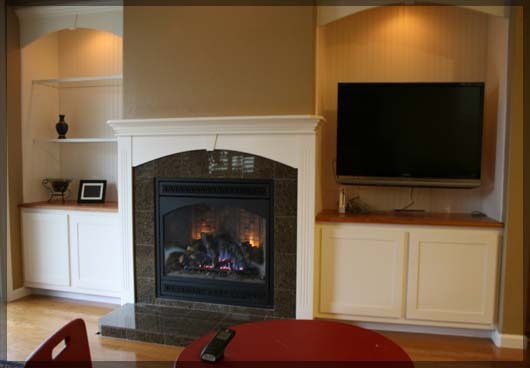 The Fireplace insert was chosen from the showroom at Custom Fireside in Sacramento, CA. 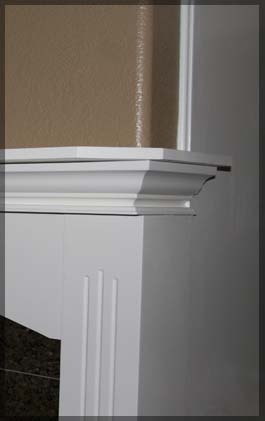 Once the Fireplace surround was completed (along with the customized hearth design) the woodwork began! One of the biggest challenges of the piece as a whole was to plan and hand-fit new pieces into place around the existing wall structure and mouldings to ensure that the overall job looked like it had always been there. 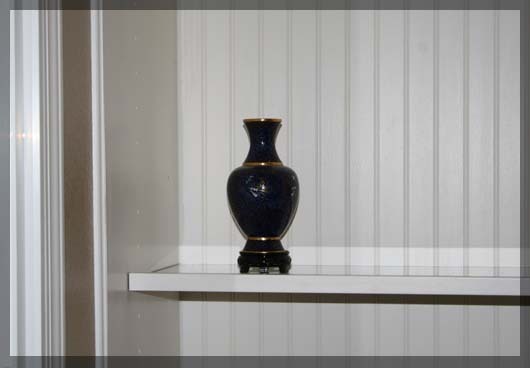 The upper portion of the left-hand alcove was custom designed for display space and contains wood edged glass shelving so that each shelf appears to be a thicker wood plank shelf but allows light to cast through the glass and illuminate all displayed items. Both bays were encased with bead board to add a quaint and home-y feel along with the keystone accents at the top of each of the three main pieces.